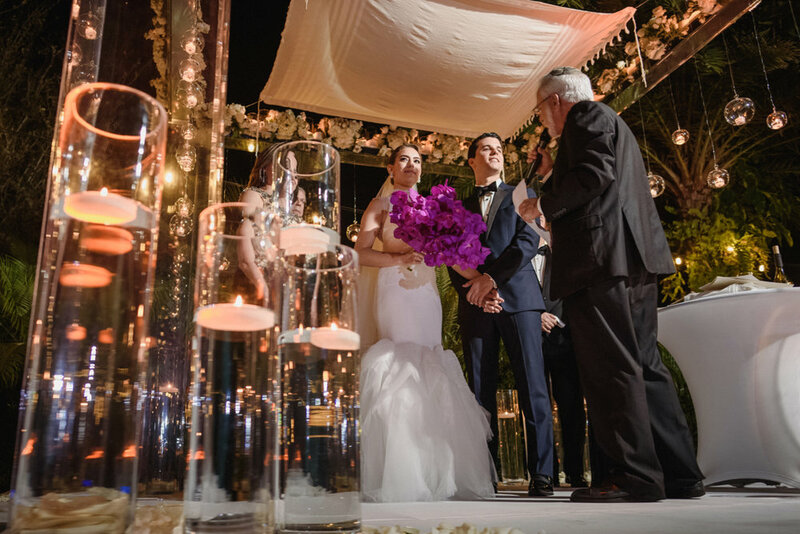 Raquel & Michael said “I do” under the stars at Fort Lauderdale wedding venue, LAVAN, in January 2017. 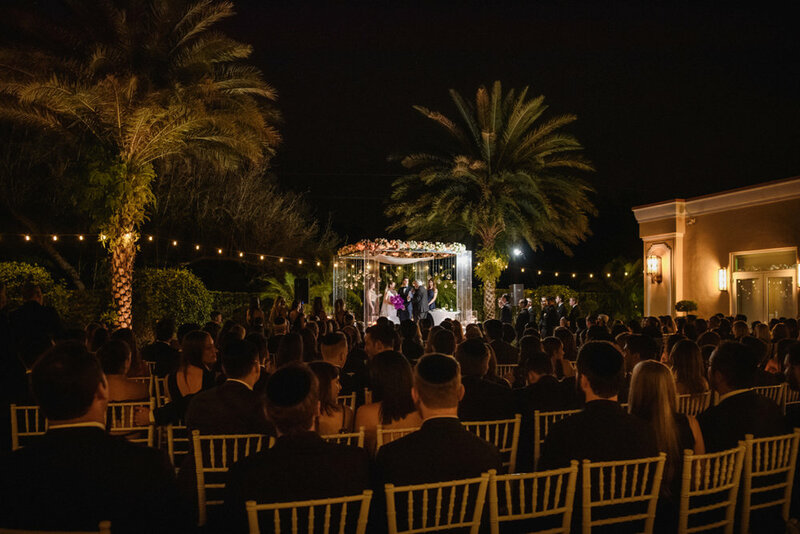 Their beautiful Chuppah, designed in collaboration with wedding planner, Jennifer Santini, and floral design and event production team, Petal productions, featured a crown of white blooms and was hung with flickering tealights in sparkling glass orbs. 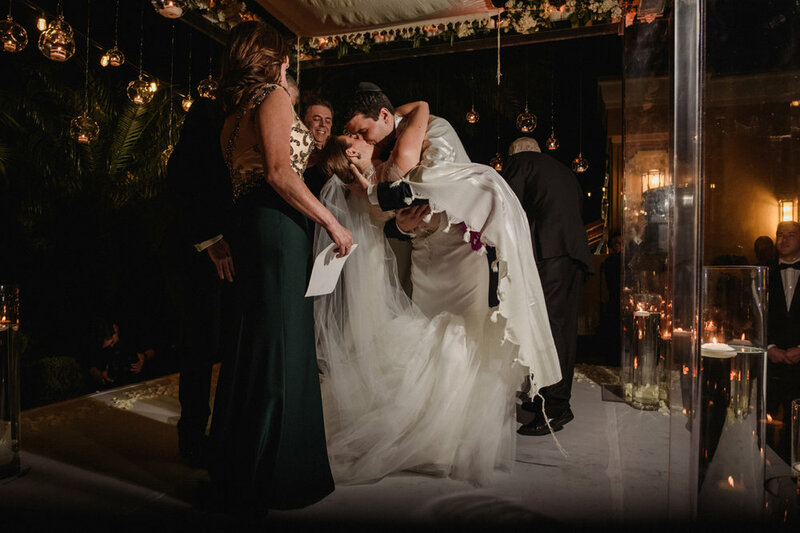 The couple chose LAVAN because they were looking for a wedding venue with ample indoor and outdoor space, a seamless passage from the indoor to the outdoor areas, and a beautiful setting for their ceremony, in the same venue as the reception. 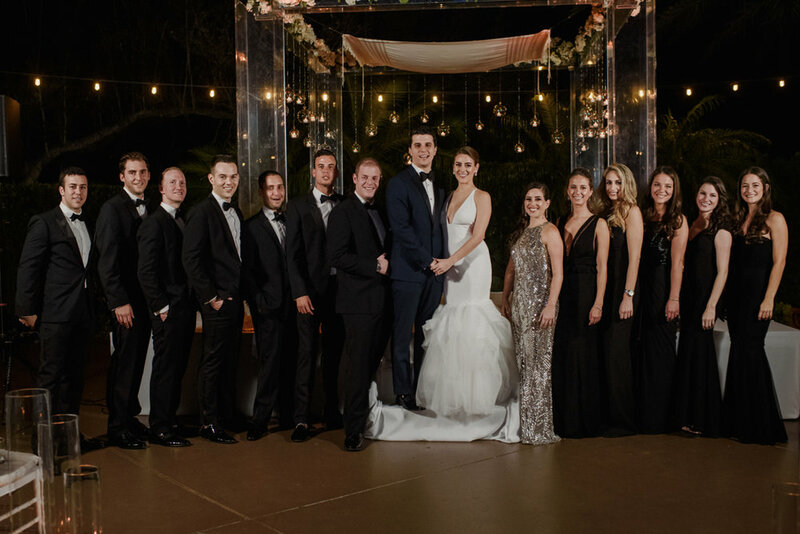 Lavan met all the criteria, and more. 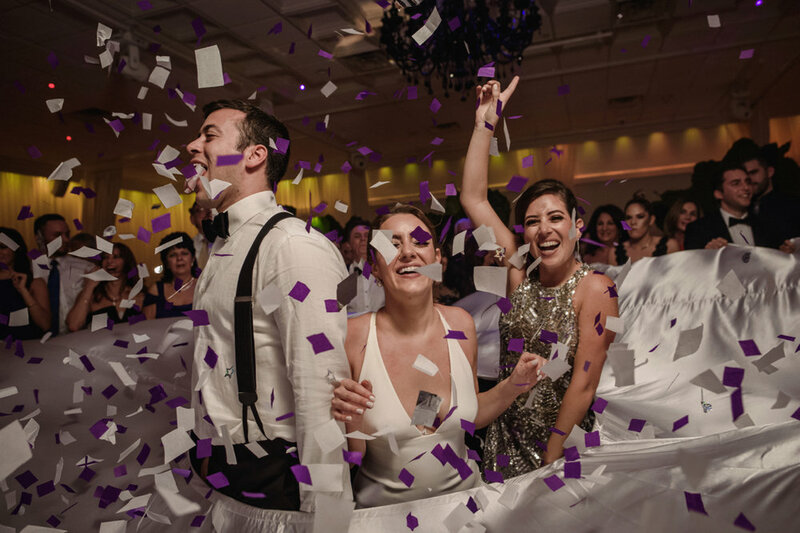 For the event design, they worked closely with Jennifer Santini, and Petal Productions. 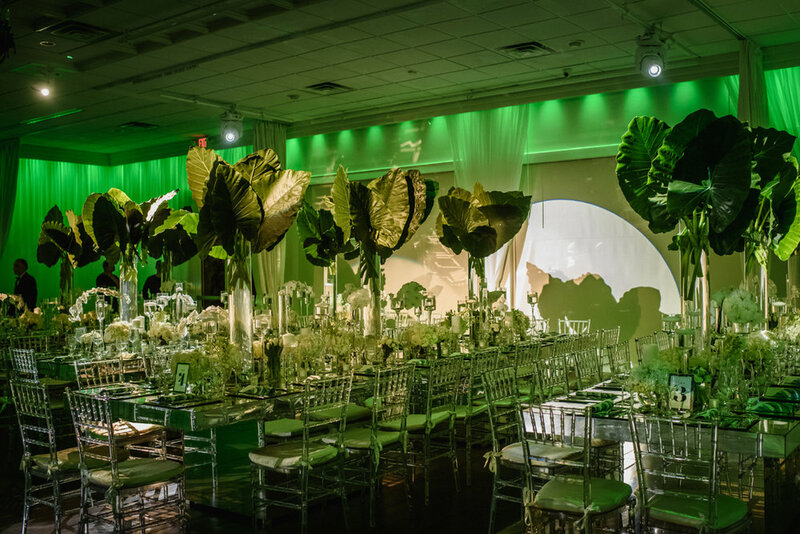 Setting out to produce a unique wedding décor, something a little different, the team settled on a green and white color theme, featuring tall cylindrical vases filled with oversize tropical leaves. 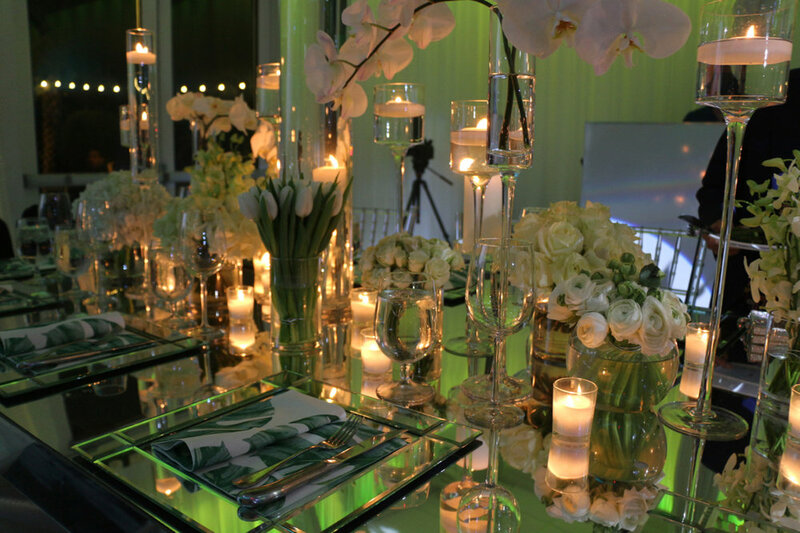 Beneath the tall vases, tight, low bouquets of white tulips, orchids, and roses were arranged around white candles in glass holders of varying heights. 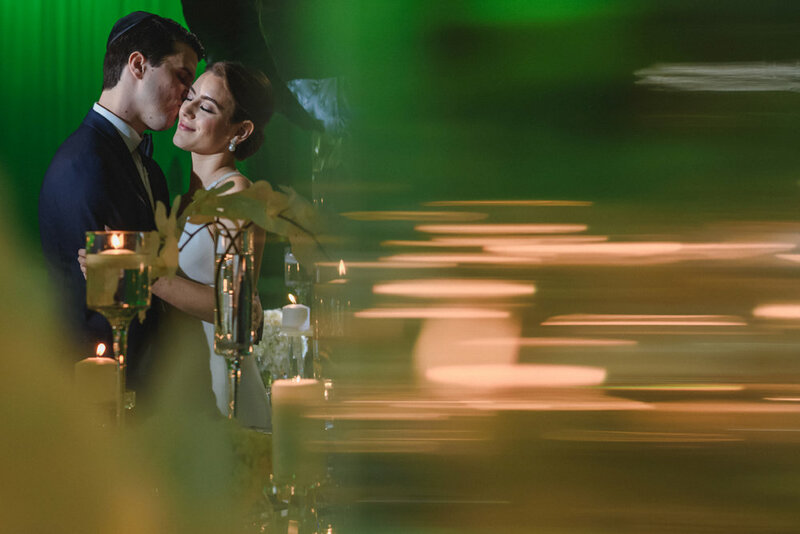 The effect was extraordinary, and the sleek, modern wedding décor, illuminated with Lavan’s green event lighting, was amplified by reflections in the mirrored tables and chargers. 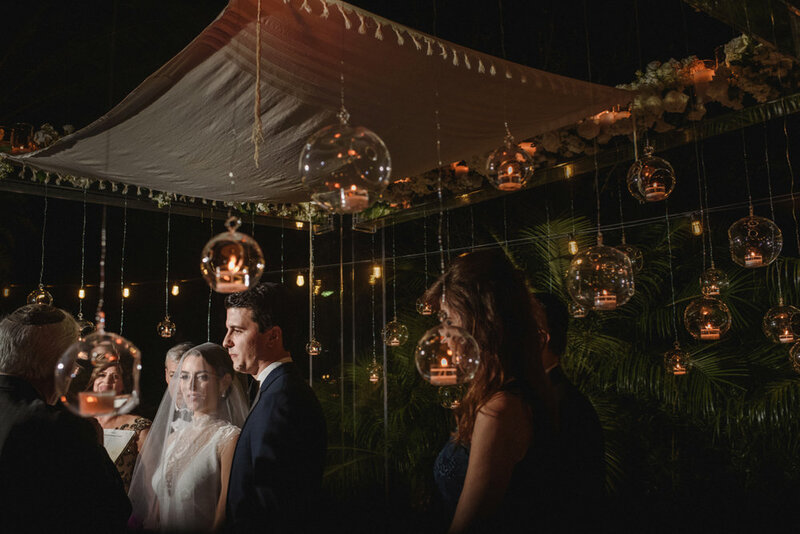 LAVAN’s garden courtyard was draped with bistro lights, and guests were greeted with champagne in the outside area before the ceremony. 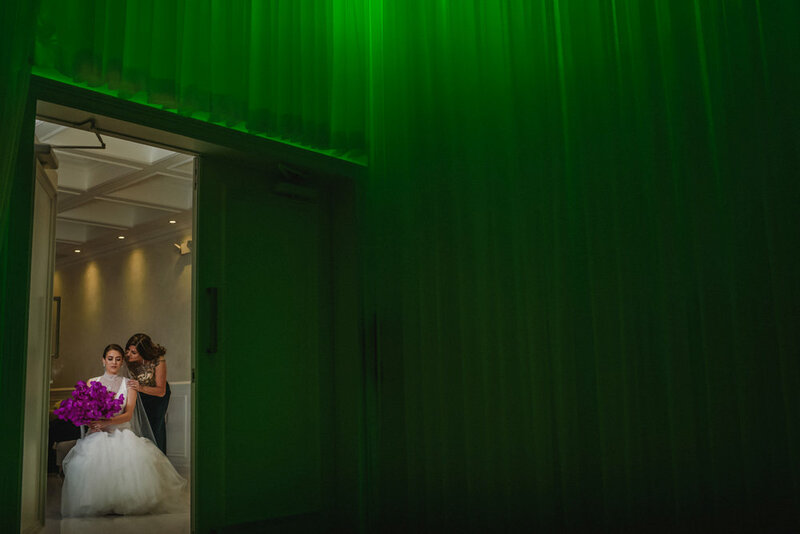 Cocktails were served inside after the ceremony, followed by a lavish buffet dinner. 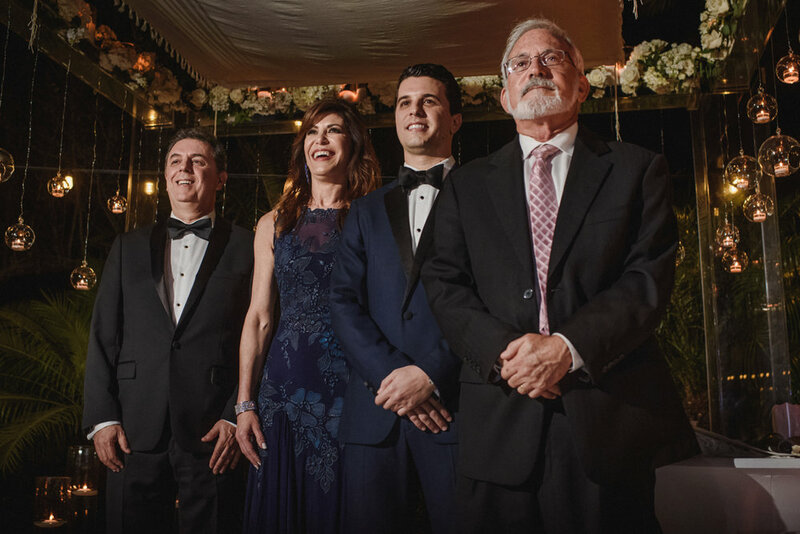 The music and dancing started early and kept going throughout the dinner service. 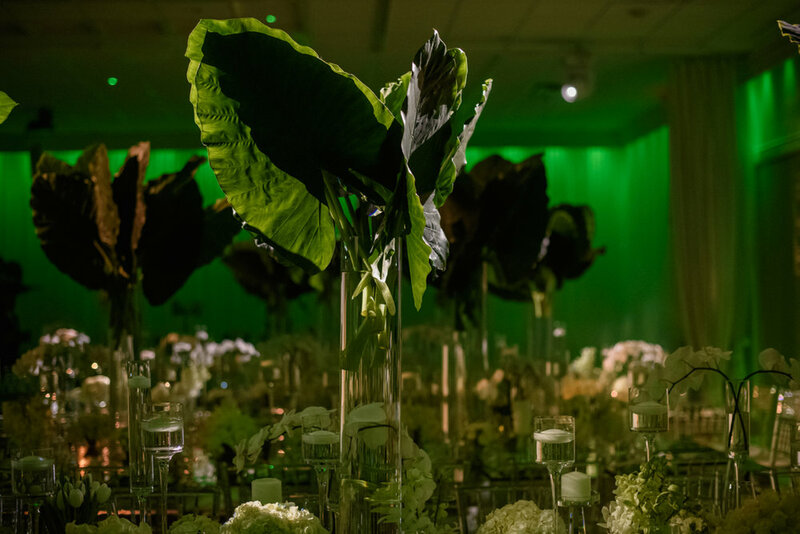 We love to see LAVAN transformed by talented event planners and creative designers, and this event was truly unique and spectacular!